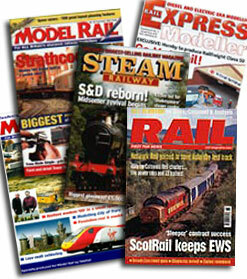 Modern Railway Modelling, The Railway Magazine and The Railway Gazette available here. Savings on regular yearly shop prices. Magazines offered include Model Railroader, Garden Railways, Classic Toy Trains, Classic Trains, Trains, Railroad Model, Craftsman, Railfan & Railroad.